This is my Fojo (photojournal); pictures I have taken, or collected in my research, over the years along with the thoughts and stories they have inspired. This blog is not really a blog, in the sense that I will not post with strict regularity. I may post often, or not at all; whenever I feel I have something to say. It’s actually a writing exercise for me, a way to organize my research and get feedback on my ideas. I may revise posts to add new research or other relevant resources. I invite you take advantage of long reads and deep links during the breaks between posts. The topics will range from public history to global political economy, from contemporary social issues to arts, culture and folklore. Could be that this stuff is only of interest to me—and I find much of it fascinating. I am sharing it with you in the hope that it will stimulate curiosity, deepen reflection, inspire hope and increase understanding of the inextricable inter-connectedness of the human story. I welcome your comments and suggestions. Denise Valentine made her debut with Keepers of the Culture, Inc. (KOTC) in 1997. In 2003, she made a guest appearance on a WYBE- TV35 “Philly Live” segment about urban legends. In 2004, she participated in a storytelling delegation to South Africa, with the National Storytelling Network, under the auspices of People to People Ambassador Programs. In addition, she was awarded The Leeway Foundation of Philadelphia, Pennsylvania’s Window of Opportunity Grant to study the preservation of folktale traditions in South Africa. Ms. Valentine received a special Discovery Award in 2011, from the prestigious Pew Center for Arts & Heritage to explore storytelling as a tool for historical interpretation. She is currently on the roster of The Pennsylvania Council on the Arts, Arts in Education Directory for Southeast Pennsylvania. 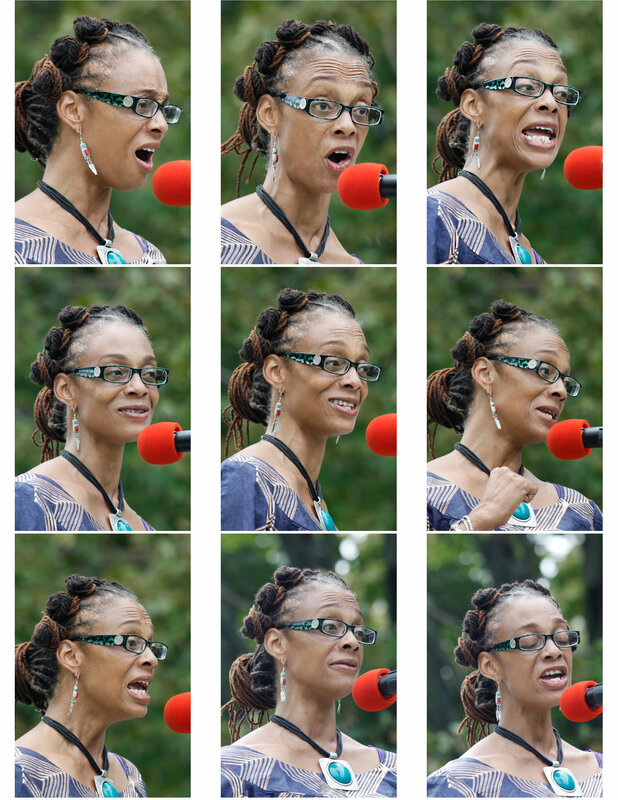 She has also been included in the Pennsylvania Humanities Council’s Commonwealth Speakers Bureau from 2008 to 2013. Vision: To unleash the power of storytelling to build a Culture of Peace, Justice and Respect for Life. To create a place for stories in the lives of people in all communities.